Happy Tuesday, friends! 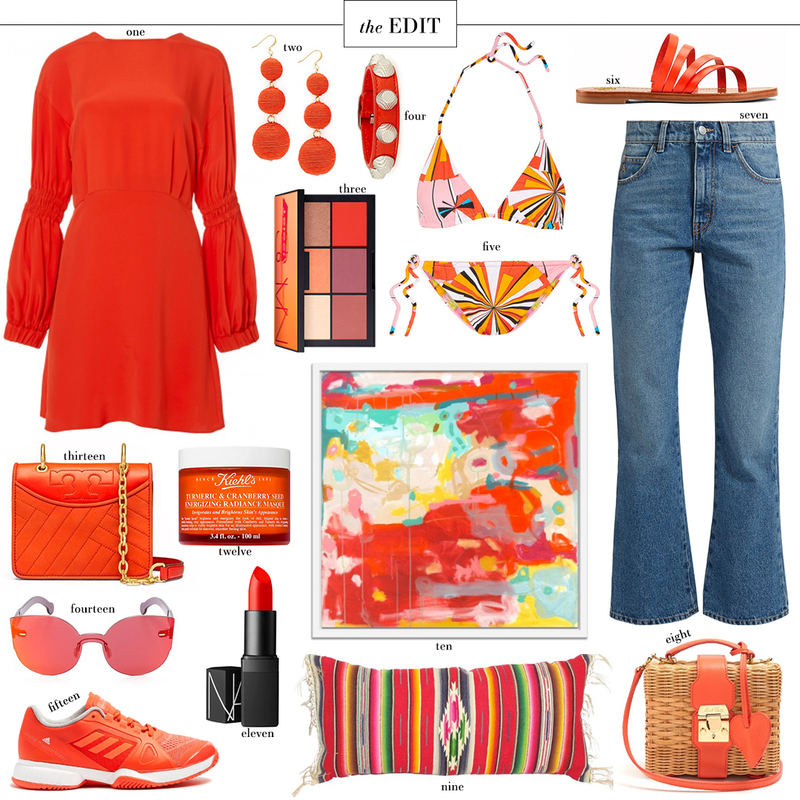 Another color (in addition to pink) taking over the spring/summer collections is a vivid vermillion, orange-red. As someone who loves wearing this color, I couldn’t be more thrilled! Whether you wear it on your lips (this formula in Heat Wave is a fave! ), add a pop with a fun bag, or deck yourself out in a darling minidress, this bold hue is a showstopper for sure. Shop more of my favorite looks in this spicy shade for the coming season below! This inexpensive clutch would be ideal for any beach vacay when you don’t want to ruin a nicer handbag. It lends the perfect pop of poppy red to any outfit! A lightweight bell-sleeve sweater in a brilliant color to pair with white jeans and shorts this season? Yes, please! This tiered strapless dress is a fun option for date night this summer, but would be super cute over a bikini at the beach too! Y’all know how I feel about ruffles… this tee should be next on your list! Shake things up at the office with a fun pant for the spring/summer months. Just pair it with a simple white button down and you’re good to go! In addition to the dress featured above, check out this off-the-shoulder midi and this v-neck midi. Definitely pieces that could be worn at every age! I LOVE all your picks! I never gravitate toward this color because of my red hair, but your choices are making me swoon!! Really loving that lipstick! I want that red dress! SO pretty!! Loving the bright hue – and that art piece is beautiful!